Take the Kenmore Recyling Survey! 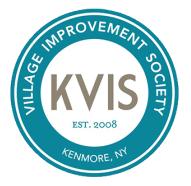 The KVIS is interested in learning what you think about the recycling we do in Kenmore. People of all levels of recycling efforts, from those who recycle almost everything to those who recycle just a bit or none are asked to take a few moments of time to complete the survey. There are only 10 questions and the survey will only take a few minutes at most to complete. We’re not the throw-away society we used to be. Many Village residents are intentionally trying to leave a smaller carbon footprint as we travel on our life’s journey. We don’t want to send items that could be used elsewhere to the Niagara Falls Landfill where it will not fully biodegrade for many years after we are all gone. That’s why for many years the KVIS invited Buffalo ReUse, Buffalo ReStore, and other recyclers to come to Kenmore to take away our unwanted, recyclable items. We continue to encourage residents and businesses to consider carefully what is put to the curb, to work to recycle as much as possible for the sake of ourselves and our dear earth. The KVIS has prepared a Free Local Recycling Booklet listing Western New York locations to recycle many items. Make sure you get a copy and keep it for handy reference; together we can help make our Village a green place that is increasingly friendly to the needs of our environment. The booklet is available for download here or print copies are available by contacting the KVIS.